A vareity of manual hose reels for pressure washing applications with industrial strength standards. It can be mounted on bases, walls, trailers, and even your truck bed for portability. You will find here all the connectors you need! Fittings, couplers, quick-connects, screw type, FNPT and much more. 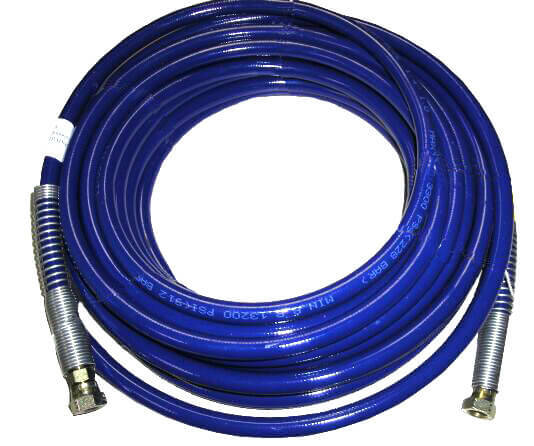 (UHP) Ultra high pressure hoses are designed for waterblasting applications with a standard length of 50 FT. We can provide custom lengths of water blasting hose to your specifications.